Too many couples start their marriage with debt from a wedding because the expectations set for wedding are so high. Those attending expect to be treated like royalty and have the best of everything. They want a wedding that is memorable and of course free-flowing alcohol at the reception. They expect to have a live band and the DJ of course, and to have wedding favors for attending. For the married couple who are starting a life of matrimonial bliss, this feeling of bliss can you be accompanied by indigestion and stress. There is potential relief however, because there are some things that can be done to contain the costs of a wedding. Here are a few cost cutting ideas that you and your spouse should consider for your wedding. 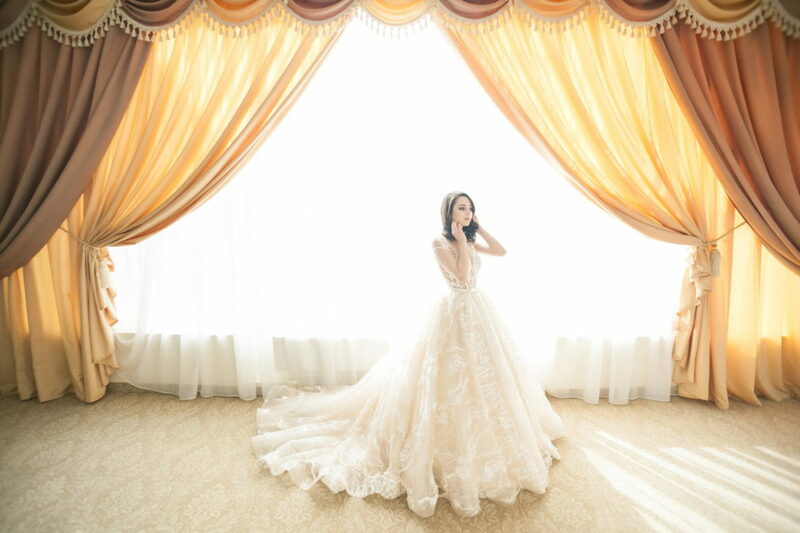 One of the highest expenses at a wedding is the cost of the bride’s beautiful wedding gown. The wedding dress is expected to be a one-of-a-kind, gorgeous creation that makes all the other women jealous. Brides-to-be will often go to shops that they might never step in otherwise, to spend their life savings on a wedding dress. They want to make an impression and show everyone that they are fully committed to the marriage. Although this is admirable, and the thought should certainly be given some respect, it is important for brides to understand that they can get a beautiful dress at a bargain-basement price. Smart brides can buy cheap wedding dresses online for a fraction of what they might expect to pay at a high price wedding shop. The great news is that JJ’s House a top online shop sells dresses that are beautiful and high-quality. Any bride can save hundreds of dollars on a dress and still look like a storybook princess. One way to save money on your wedding day is to have your reception at home. If your home is too small, consider having the reception at the home of your parents or one of your relatives. In addition to saving money on renting a hall, you will also save lots on servers, and decorations. Your guests will be much more forgiving if your home is not decorated to the nines for your reception. Many people spend thousands of dollars renting a large Hall when a home would be just as nice. Talk it over with your spouse-to-be and determine which homes fit your needs. Then together go and speak with those friends and family and ask them to use their home. If you can set up some good ground rules, most will agree. Many married couples plan an exotic honeymoon. In reality exotic usually means expensive. Honeymoons are also notorious for putting couples immediately in debt. A smarter idea might be to do a local honeymoon at a very nice hotel or resort. You save lots of money on plane fares, and transportation expenses end since the real reason to go is to spend time with your significant other, where you go is less important. Go over your wedding plans with your significant out there and look for small ways where you can cut corners without cutting quality on your wedding.